Children Leaving Home? What Now With Your Health Insurance? Choosing the right type health cover is an important decision for anyone. When obtaining insurance, it is key to consider the various circumstances and aspects of your life. And as those circumstances change, it is just as important to reevaluate your health insurance choices to ensure that they still match your priorities and needs. Having children and family size is, often , one of the biggest factors in considering health insurance. But what happens when those children grow up and move out? If your children have recently left home, or are planning to leave soon, this guide can help you ensure that you and your adult children have the necessary health insurance needed. 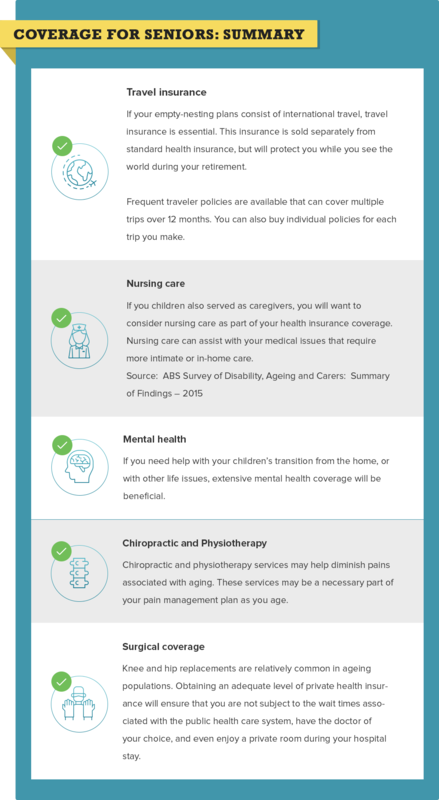 Private health insurance provides a range of coverage options with great flexibility and personalisation of care, which may be especially important for older Australians. When confronting life changes, like children moving out, it is important to reevaluate your health care needs and coverage options. Consider your children’s coverage and how tax liabilities can affect those without private health insurance when becoming an empty-nester. 5 Why Should You Reevaluate Your Health Cover? 10 Still Not Sure About Private Health Insurance Coverage? Medicare coverage may not be adequate for all individuals. Fortunately, Australians also have the option to supplement their Medicare coverage through private health cover. In fact, about 50% of the adult population invests in private health insurance – and those numbers are expected to grow. People invest in private health insurance because it can provide broader and more flexible healthcare options. This flexibility can be great for families with children who are in the home or are transitioning out of the home. If your children are transitioning out of the home, it is especially important to consider their coverage eligibility. Children can be covered on a family policy until age 21. If they are students, they can remain on the family policy until age 25. However, if your children are no longer eligible for private health insurance through a family policy, they might need to establish their own plans. When looking into private health cover for your changing family dynamics, consider all benefits available to you. We’ll discuss some of these benefits within this guide. While Medicare provides some coverage for certain medical circumstances, it does not cover everything a patient may encounter. As we cannot foresee our future health, it’s best to cover as many bases as possible for peace of mind. Private health cover provides customers peace of mind for unforeseen health and life events. This flexibility and vastness of coverage allows people to customize their health coverage to suit their personal and lifestyle needs. Additionally, private health insurers cannot charge more based on health status, age, or claims history. They also cannot deny coverage to anyone based on those factors. It’s no secret that the wait and treatment times in public hospitals under Medicare can be long and inconvenient, sometimes leading to periods of prolonged pain and discomfort. Unfortunately, waiting times have increased over the past decade. Wait times for some elective surgeries (non-emergency) can take up to a year in the public system. You will have to serve a waiting period when you start a new private health insurance policy or increase your level of cover. A waiting period protects members of the fund by ensuring that individuals aren't able to make a large claim shortly after joining and then cancelling their membership. This kind of behaviour would result in increased premiums for all members. Use this calculator to choose a hypothetical date in the future (or leave it on the default setting, which is today's date) to determine when you will be covered for various types of coverage. (These are the maximum waiting periods allowed by law for hospital cover.) These waiting periods also apply to any additional benefits on your new product if you transfer to a higher level of hospital cover, with your existing fund or with a different fund. Note: If you are moving to the same or a lower level of cover, you will NOT have to re-sit waiting periods. With adequate private health insurance, patients have the option to be treated in a private hospital and therefore, patients often experience much shorter wait times. Often, patients even have the opportunity to schedule their own procedures at times that are convenient for them. Patients can also choose which doctors will perform their procedures and if they want to be treated in a private hospital or a public hospital as a private patient. Why Should You Reevaluate Your Health Cover? If your children are no longer covered on a family policy, they may need coverage of their own. You (or your kids) may need help with the transition. Leaving home is difficult for parents and kids. Seeing a psychologist can help. Medicare rebates are available for up to 10 individual and group services under specific circumstances, but you may need more care or a different type of treatment than is provided. Your medical needs will change. Adult children often need help with family planning issues. Seniors whose kids have left home frequently need more medical help, especially if children were serving in a care-giving role. Your insurance costs will change. If your children no longer need to be covered by your insurance, a couples or singles policy is cheaper than family coverage. For the sake of your finances and health, changing your insurance is important when your life changes. While private health insurance provides an array of benefits for the general public, its assets are particularly advantageous for empty-nesters and soon-to-be empty nesters. 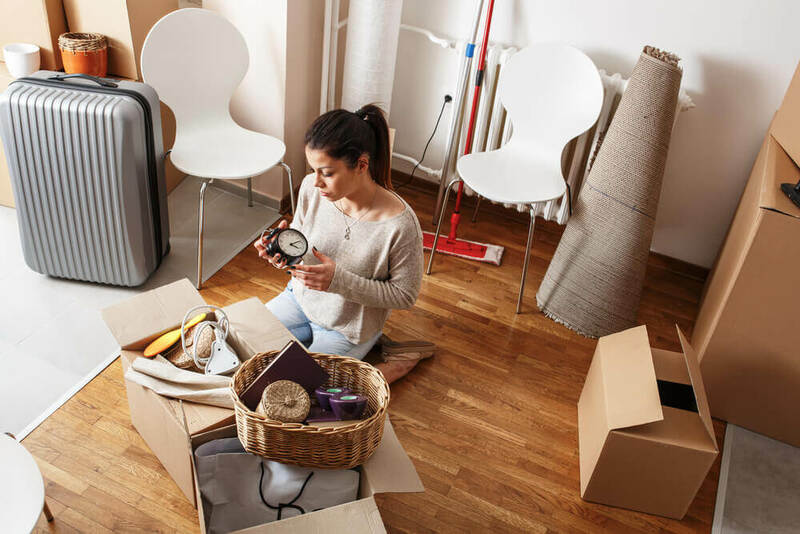 As previously stated, the transition involved in kids moving out can be hard – and harder than anticipated. Keeping your mental health in check is important, and you can have this covered in a potentially difficult stage of life. What’s more? As your children move out, and we all continue to age, you may find your medical needs expanding. This is a normal part of life, and does not have to end up being a painful or negative experience for you. But what exactly do we mean by ‘expanding medical needs’? Generally, seniors need more medicine, adaptive devices, and overall care. In addition, after children leave the house, you may need extra assistance in taking care of your general health and life matters. Travel insurance if you’re thinking of spending your retirement seeing the world. Travel insurance is sold separately from standard health insurance. Frequent traveller policies are available that can cover multiple trips over 12 months, or you can buy individual policies for each trip you take. 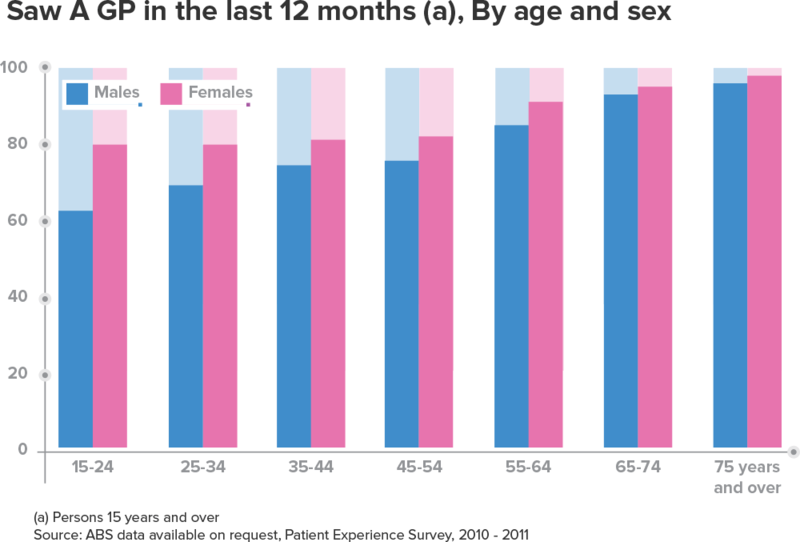 According to the ABS, people between the ages of 55 and 74 in Australia make the most use of extra healthcare coverage. How will the policy change affect your premiums? Often, premiums will decrease after children leave the household and are removed from the policy. Use our policy cost calculator below to find out exactly how much you could be paying for your premium over the course of a day, fortnight, quarter or year. This policy cost calculator is designed to convert a typical monthly health insurance premium into daily, fortnightly, quarterly, and yearly increments. If your children are no longer eligible to be members of a family policy, will they take out private insurance on their own? If so, can they afford the premiums? If not, will you be able to provide financial assistance? Generally, there is a two-month waiting period on services after joining a health fund. However, some services, like hearing aids,cover for pre-existing conditions and dental procedures, can have longer waiting periods. How Long Is the Waiting Period? Consider what is included in each policy. Will you need extras cover? Annual limits dictate how many times you can claim an extra and the amount you can claim in dollars. These annual limits reset each year, but it is important to understand any restrictions before committing to a policy. Percentage back is the amount of money you receive back on any extra medical treatments you claim. The percentage back generally ranges from 60% – 75% of the cost of the service. Many policies will only pay out to providers that are on their recognised lists. Before committing to a policy, make sure that your health care professional of choice is included on the list of recognised providers. Your coverage needs will depend on your health status and your life plans as an empty-nester. Even if your child does not meet the general criteria for remaining on a family policy, some insurance companies will allow parents to continue coverage for them at an extra cost. Also, your adult children have the option to find their own insurance policy tailored to their individual life, health, and financial circumstances. Surveys have shown that most children in Australia become financially dependent at age 23. Whether your kids are above this age or below it, they may need help from mum and dad in understanding insurance coverage options. Talk to your children when they are moving out about getting coverage. Still Not Sure About Private Health Insurance Coverage? The Medicare Levy surcharge is an additional fee paid on top of the 2% Medicare Levy Surcharge that most Australian taxpayers pay. You can avoid the surcharge if you have Private Health Insurance (Hospital Cover). The exact surcharge level you'll need to pay depends on your income level and relationship/family status. Use the slider and dropdown menu below to determine what surcharge you're liable for if you don't have private hospital cover. In addition, your children could face a Lifetime Health Cover loading if they do not invest in private health insurance before they turn 30. Under this initiative, patients who choose not to take out private health insurance by their 30th birthday, but decide to so later in life, may be subject to a 2% loading on top of their premium. This loading will increase by 2% for every year your adult child fails to take out a policy (after 30). This would result in a 20% loading on top of the regular premium for someone who waits until he or she is 40 to invest in private health insurance. The loading reaches a maximum of 70%. As you address life’s many changes, also consider reevaluating your health insurance. If you currently own private health cover, think about how children leaving the home will affect the policy and make changes as necessary. You might even save some money! If you do not have a private health insurance policy, consider how one could benefit you and your family as you age. As wait times apply, pro-activity is key. Don’t hesitate – get the health insurance coverage you need now.